Boston’s economy has thrived because of ‘eds and meds’ — education and health care. But that status is under threat. High school students will soon be sending in their acceptance deposits to the nation’s colleges and universities. Many of the best and brightest from around the world will do so for Boston-area schools, whose excellence and variety make Boston a global magnet for students. Boston’s preeminence in “eds and meds” has made it one of the world’s most significant economic engines, despite its small population and compact size. Its ability to adapt to a changing global economy mirrors its greatest strength: the capacity to sustain and nurture a creative class. But cities from Atlanta to Pittsburgh to San Francisco are knocking at Boston’s door. 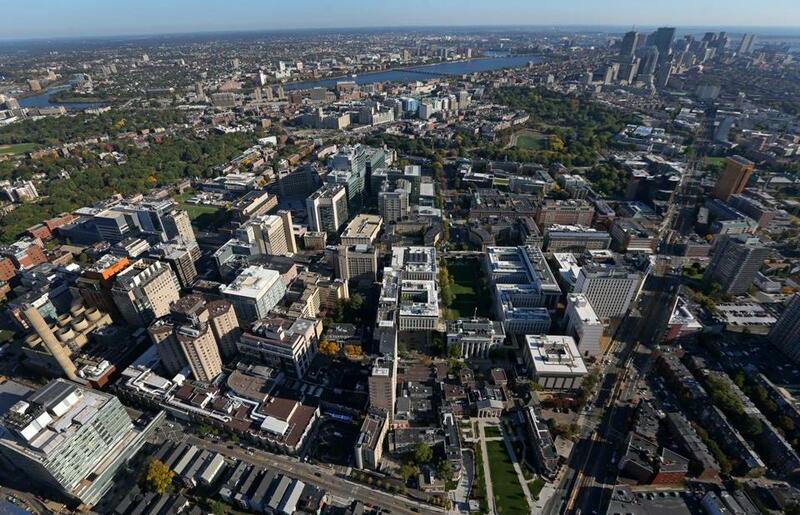 To remain robust contributors of intellectual capital to the regional economy, Boston’s higher ed institutions need real adaptation and innovation. Here are some critical steps that local college and university officials must take now. Collaborate more. Boston’s higher education institutions, public and private, have been powerful engines for the regional economy, despite being competitors. While Harvard University and the Massachusetts Institute of Technology are arguably the pistons of this engine, they cannot by themselves provide enough of a draw to bring Amazon and other heavyweights here. The city needs more efforts like the Colleges of the Fenway consortium (Emmanuel College, Massachusetts College of Art and Design, Massachusetts College of Pharmacy and Health Sciences, Simmons College, Wentworth Institute of Technology, and Wheelock College), whose schools work together on new ideas and programs, and create economic efficiencies to contain costs (and tuition increases). Area universities should also work toward sharing career services. Collaboration will make them a more formidable force in shaping public policy and economic development. Combine to prosper. Most American colleges and universities operate with an unsustainable financial model. Boston’s institutions of higher education are not immune to these problems, as we’ve seen with the University of Massachusetts Boston’s struggle to control costs and address rising deficits. Cash-strapped colleges may have to reduce offerings, which can lower their value to consumers, i.e., students, who may lose confidence in them. Mergers, such as that between Wheelock College and Boston University, can strengthen both schools, increasing the value of a degree at each. Manage themselves more effectively. Colleges in general are run more like mom and pop shops than sophisticated purveyors of valuable knowledge workers. Boards of trustees are often insular and bloated, and will likely be ineffective at facing broad questions about responsible budgeting and stewardship facing today’s colleges, plus new consumer, state, and federal oversight demands. Faculty must play a much more significant role in governance to foster innovation in teaching and research across their campuses. Suffolk University’s recent debacle over leadership illustrates what can happen when governance fails. Find new assets. Colleges must reduce their reliance on tuition and government research grants and subsidies. They must look for ways to use their existing assets, such as real estate, more efficiently. Can they forge cooperative partnerships with business and industry to yield new kinds of revenue? In cities such as Boston, can they create economies of scale with one another when retrofitting or designing expensive new facilities, while working with the city to improve the quality of civic life? Remember the liberal arts. Many schools now tout job placement rates for graduates. But universities cannot respond to economic pressures by converting to trade schools. There’s a real value to trade schools, but we need broad, high-quality liberal arts schools more than ever. The liberal arts are neither liberal nor narrowly about the arts. They produce graduates who can write, speak, apply quantitative methods, use technology, and work in a collaborative setting. These are precisely the skills of the next generation’s workforce. Even engineers — perhaps especially engineers — need nontechnical skills. Rather than apologize, colleges should double down on the liberal arts. Expand their student base. Most higher education institutions use enrollment models built for an entirely different demographic. Growing numbers of college students are older than and have different life situations than the traditional 18- to 22-year-old applicant pool. Schools such as Lesley University, Bentley University, and Merrimack College have responded to today’s changing workforce by expanding the breadth and scope of their programming, while still staying true to their history and mission. Today’s schools must also devise financial aid models to get the right support to the most deserving students, adapt student life to accommodate a wider range of interests, and bolster their career counseling networks — perhaps, as mentioned above, across school boundaries. An era of relatively easy times for colleges and universities is ending. If Boston’s higher educational leadership reacts only incrementally, the city could lose its powerhouse position in the global economy. It’s time to protect the intellectual capital that built Boston. It starts by leveraging the historic strength of Harvard, MIT, and the region’s other research universities to create a coherent, fully integrated economic development policy across higher education. Boston’s future as an incubator of the creative class depends on it. Brian C. Mitchell is a principal in Academic Innovators and past president of Bucknell University and Washington & Jefferson College. W. Joseph King is the president of Lyon College in Batesville, Arkansas. Their new book is “How to Run a College: A Practical Guide for Trustees, Faculty, Administrators, and Policymakers.” Send comments to magazine@globe.com. Follow us on Twitter @BostonGlobeMag.